Wednesday, October 25, 9:00 - 10:30 a.m.
On Wednesday, October 25, The Washington Post will bring together elected officials, members of the business community and experts who are shaping the policy, regulation and practice of health care for a live news program examining the issues, questions and stories dominating the health-care debate in Washington. Speakers will discuss the current status of health care reform efforts, the future of Medicare and Medicaid and the state of the insurance marketplace. 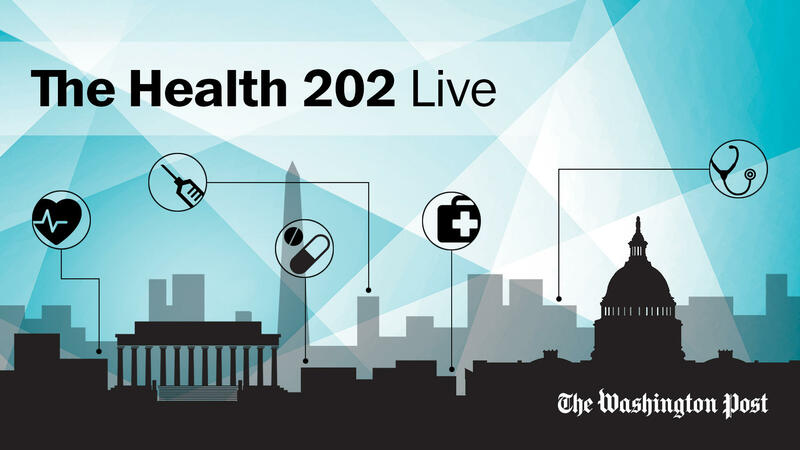 This is the kick-off event of The Washington Post’s Health 202 Live series, which will be moderated by two of The Post’s leading health care reporters: Paige Winfield Cunningham, author of The Health 202 newsletter, and national health care policy writer Amy Goldstein. Unable to attend in-person? Sign up to receive a live stream notification here. Thank you for your registering to attend The Health 202 Live at The Washington Post. Program - 9:00 - 10:30 a.m. If you have any questions prior to the event, email postlive@washpost.com.